WWE Spoilers: First 2015 WWE Hall of Fame Inductee announced! The news was originally broke by TMZ on Monday morning before the official announcement was made on RAW this past Monday night that one of the most glaring omissions from the WWE Hall of Fame will finally be remedied as the charismatic and incomparable “Macho Man” Randy Savage will be inducted into the 2015 WWE Hall of Fame. Randy Savage will be posthumously inducted into the WWE Hall of Fame by his former rival and former tag team partner Hulk Hogan. The 2015 WWE Hall of Fame Induction Ceremony will air, live on the WWE Network, the night before WrestleMania 31 on March 28 from the SAP Center at San Jose in San Jose, CA. 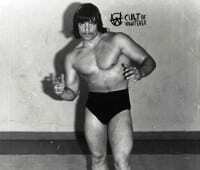 After a short career as a professional baseball player, Randy Savage (real name Randy Poffo) made his professional wrestling debut in 1973 and would work the independent circuit before joining the WWF in 1985. 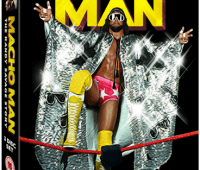 During his WWF career, “Macho Man” was a two-time WWF Champion, a one-time Intercontinental Champion, and the 1987 King of the Ring and would feud with the likes of Hulk Hogan, The Ultimate Warrior, Ricky “The Dragon” Steamboat, Tito Santana, Jake “The Snake” Roberts, Dusty Rhodes, & The Undertaker, among others. In 1993, Savage would make the transition to color commentator, debuting as a commentator when RAW debuted in January 1993 and, in late 1993, “Macho Man” would not sign a new deal with the WWF and would jump ship to WCW. With a renewed career in WCW, Randy Savage made his WCW debut on December 3, 1994 and, over the next six years with WWF’s top competitor, “Macho Man” would rack up four reigns as WCW World Heavyweight Champion and would renew his feud with Hulk Hogan (then Hollywood Hogan in WCW), but would ultimately align himself with Hogan when he joined the nWo. Savage would make his final WCW appearance on May 3, 2000 on an episode of WCW Thunder. During his time with WCW, Randy Savage would solidify himself as a pop culture icon for his memorable Slim Jim commercials. Following a legendary career in professional wrestling, Randy Savage made the transition to acting, scoring roles in such movies as Spider-Man and Bolt. “Macho Man” would also make appearances or lend his signature voice to TV shows like King of the Hill, Family Guy, & Duck Dodgers. On May 20, 2011, Randy Savage died at the age of 58 as the result of a heart attack while driving his Jeep Wrangler. Savage became unresponsive and crashed into a tree with his wife in the vehicle. What do you think of Randy Savage’s induction? Post your comments in the box below.